If you’re looking for the best 1911 Ambi Safety, you’ll need to figure out which one is best for you. Not only do your personal wants and needs come into play, but so do the other factors that play a role in making your final decision. While a safety has its purpose, each manufacturer is different in terms of how they make theirs, so not all safeties are created equal. We’ll be looking at five of the best safeties on the market. One of them might be yours to own after a little more digging into how it works and why many people love it. Are Ambidextrous Safety Kits Worth The Upgrade? The short answer: Yes. Having an ambidextrous safety is worth the upgrade and for good reason. For one, this product exists to prevent your gun from accidentally going off. Accidental gunfire can pose a hazard and have deadly consequences, not only for yourself but those around you. Also, having an ambidextrous safety is worth the trouble because some safeties may even throw off gun users who shoot left-handed or right-handed. Some left-handed users have lamented that one of the main reasons they stay away from a 1911 is the lack of a left-handed version. Regardless of which hand you use, there is a product on the market that will allow you to turn it on no matter which direction you move it. Even some factory-made 1911 safeties will benefit the right-handed shooter and leave the left-handed shooter out to dry. With an ambidextrous safety, it won’t matter. But these safeties will most likely benefit the left-handed shooter most. If you have no gunsmithing skills, you may want to consider a product that is considered a "drop-in". This means that you won't need to install this professionally or need a lot of tools for the process itself. Sometimes, it may need to be sanded so it can fit perfectly. This may be due to a common manufacturing error in the design. If the safety is not a drop-in, it may require some gunsmithing skills to get it installed. Alternatively, you can have it professionally installed by a gunsmith. Most of your ambidextrous safeties will be made from some kind of steel. This will ensure that your choice is durable and will last for a long period of time. The two common finishes for these safeties are stainless steel and blue. The finish will ensure that the safety is resistant to damage or scratches. The following are five of the best 1911 ambi safety sets currently on the market right now. It is recommended that you review each one carefully as you consider some of the additional factors that will be part of your final decision. Each of these has its own unique features along with their set of pros and cons. Our first safety is the 1911 Extended Ambidextrous Thumb Safety from Wilson Combat. Out of the five, this one is considered the best overall. Let’s see why that is. For one, this is probably one of the toughest safeties on the market. That’s because it is constructed from billet steel. Plus, it’s CNC machined so it stays in place and will not wobble. 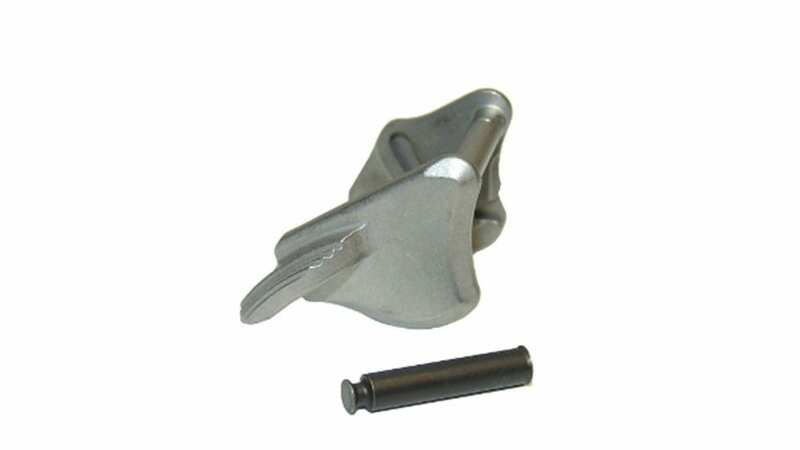 This item has a unique hammer pin that secures the right-hand side of the lever in place without the use of grips. If you want a perfect, comfortable shape right out of the box, you'll be happy with this product for your 1911. It comes in stainless steel or blue-colored finish. While some fitting may be required, the installation is easy if you know what you're doing. In fact, some of the users have called this a drop-in type of safety. When you hear the words "drop-in", you'll know that installation won't be a difficult thing. Wilson Combat obviously deserves the top spot for a few reasons. For one, this is an easy to install product. Second, it fits with a lot of 1911s. So if you want an item that won’t discriminate, you might want to consider this as a possible choice. You may have multiple 1911s on hand, so you’ll probably need that one ambidextrous safety that you can consider your go-to. If that’s the case, you won’t go wrong with Wilson Combat. One Reviewer Complained That the Hammer Pin Was Too Short With a Para Ordnance. Next, we'll take a look at the 1911 Machined Ambidextrous Tactical Ambi Safety Set from Ed Brown. Some 1911 enthusiasts are huge fans of the Ed Brown brand. One of the probable reasons is that it is quite affordable. This is likely your best choice if you happen to be one of those looking for a safety, but are on a budget. 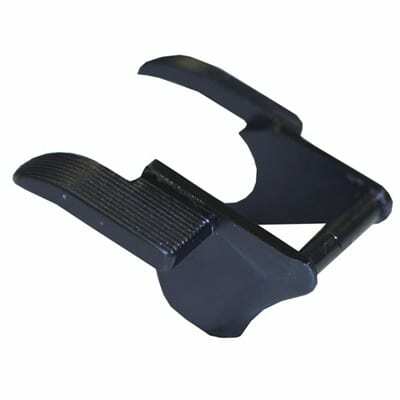 This product has a carry profile lever at 0.154. This is ideal for concealing and carrying your 1911. For unbeatable quality and no warpage or porosity, the Ed Brown is available in a fully-machined version. 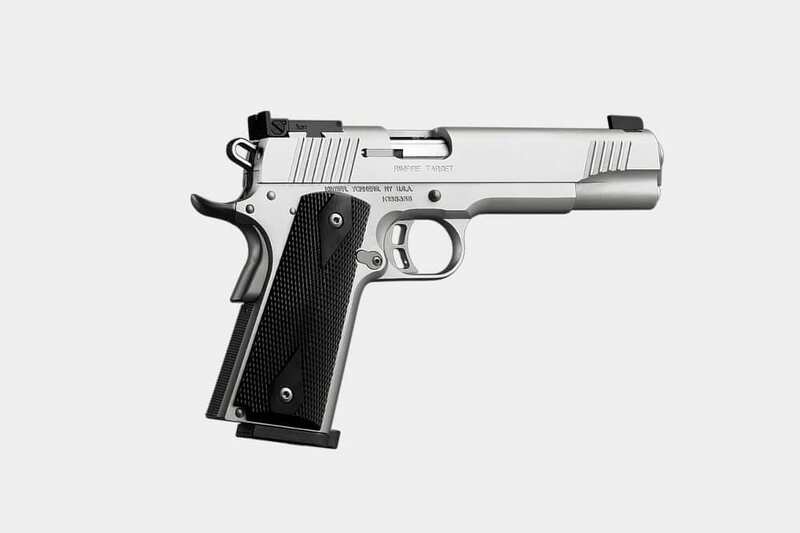 This is designed for all 1911s and is made from high-quality steel. If you want instructions on how to install, this product will come with those. Like the previous ambidextrous model, this has the potential to be your go-to choice if you own multiple 1911s. However, it may differ in terms of installation. Some gunsmithing may be required if you typically have an issue with installing a safety. The Ed Brown safety is a good go-to ambidextrous option if you don't want to spend a lot of money. On top of that, it fits all 1911 models. But the downside, of course, is the installation process. If you have some gunsmithing skills, you'll find it an easy task. If not, it may need to be installed professionally. Looking beyond that, this is an ambi-safety that is worth the money and probably worth the extra investment to get it installed. That's because it is guaranteed to last a long time and will securely stay on your gun with no wiggle to speak of. The Sig Sauer is considered a reliable brand among gun owners and enthusiasts. This safety has a unique, low profile design that is perfect for those who conceal carry their guns. Some users have said that they’ve been happy with this kind of design. Though it fits perfectly with Sig 1911s, that doesn’t mean it won’t be able to fit almost all 1911s. So if you have one that is not a Sig, you may want to give this one a try. It comes with an attachment that is equipped with a slot safety pin. The good news is that it will function just fine without the right side or the grip panel in place. If you’re looking for a drop-in option, you’ll be happy to know that this product is easy to install and doesn’t require any kind of fitting. If you’re looking for the best ambidextrous safety for a fair price that will work as intended, you might want to consider the Sig Sauer as your best option. The Sig is a good ambi-safety to have if you're on a budget, but don't want to deal with the hassle of having it professionally installed. An easy to install option is always the best choice if the last thing you want to do is spend time struggling with the installation process. This is another safety that is good for the money. Since it is finished with stainless steel, you'll know that this will last you a while and will also be resistant to scratches. Next, we have the STI 1911 Extended Thumb Safety. 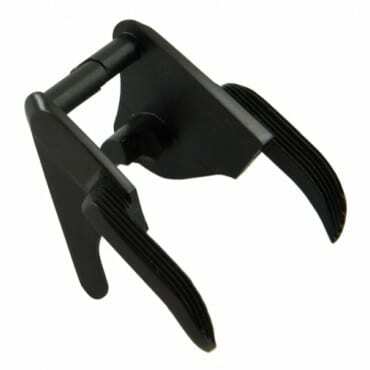 This is a contoured safety with serrated thumb pads that have a slight downward angle which will allow your thumb to contact the pad in a natural sweeping motion. This also has a comfortable thumb position for shooters that use the thumb-high hold. If you want an option that is resistant to snags, the STI has rounded edges that will prevent your gun from snagging your holster or clothing. If you're looking for a safety that won't bulk up your carrying gun, you'll be happy with the STI. If you're looking for a safety that is a step up from the factory made version on your gun, then you might give the STI 1911 Extended Thumb Safety a look. 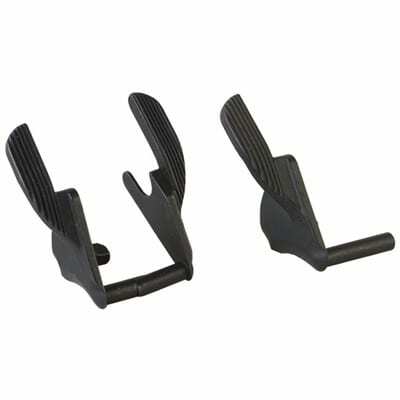 This product works great, even though it sits a little lower than regular ambi-safeties. Since it is very durable, you probably won't have to buy another one for a long time. The last safety we'll be reviewing is the Les Baer Custom 1911 Ambidextrous Thumb Safety. This has a generous, elegantly-contoured shape with a textured top surface that provides support that is easy to reach for shooters who use a high-thumb hold. 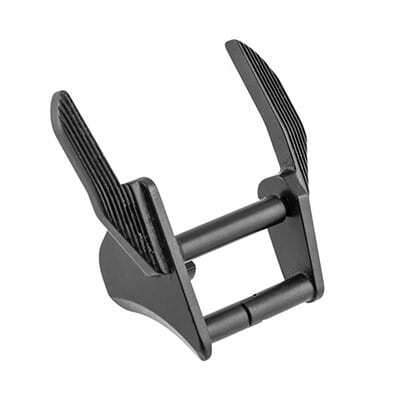 The left thumb pad slightly protrudes from the frame to position your thumb away from scope mounts and thumb guards. The right side thumb pad is thinner and gives users a true ambidextrous operation. If you want a safety that is resistant to snags, the Les Baer is designed to prevent your gun from snagging on the holster or your clothing. This is a safety that you can highly recommend to your friends and fellow 1911 owners if you’re happy with it. As mentioned, it also can be used as a thumb rest to ensure that recoil is at a minimum. If you often have an issue with recoil, you should consider the Les Baer as your safety of choice. Your gun must be disassembled in order to install an ambidextrous safety. When you’re disassembling the top end of your gun, be sure that the hammer does not fall freely. Ease the hammer down using your thumb. Take the mainspring housing using the ⅛ pin punch. It should be able to slide off easily. Pull the hammer back and take the single-sided thumb safety off. With a little bit of wiggling, it will come out. One thing to note is that the safety plunger assembly will pop out. The grip safety should come off as well. Press the trigger and pull the hammer forward. The sear spring should easily come off. Replace the sear pin with the ambi-sear pin. Make sure that your frame is completely laid flat. If it's not flat, the sear pin will slide off. Orient the ambi-sear pin where the notch is facing backward (or the back portion of your frame). If it doesn't go in easily, it means the sear is out of alignment. If it is out of alignment, use your 1/16 pin punch to adjust it back to its proper alignment. Reorient the sear pin to where the right side of the ambi-safety will slide on. Reassemble your gun in the following order: Place the sear spring back on. Then partially place the mainspring housing back on. Replace the grip safety and the hammer strut. Then replace the mainspring housing while holding onto the grip safety. Place the right side of the thumb safety on first. Pull back the hammer with ease then place the left side of the thumb safety. Make sure the safety is a little bit in between the lock and unlock position. Use the 1/16 to push the plunger in. Use your plastic hammer to make sure the safety is on tight. Check the function. The hammer is not supposed to come down if the safety is up. Likewise, the hammer should go down when the safety is down. For a visual presentation of how to install one of these devices, check out the video below. Finding the best 1911 ambi-safety doesn't have to be difficult. Consider the aspects above, along with your personal needs as you shop for a product that's right for you. It would also be wise for you to investigate further into a couple of safeties that pique your interests. This can also mean doing research via gun forums or product reviews.